A solid tool with no bells and whistles. An affordable tool for all of your basic needs. A very easy tool to use with an intuitive menu system and navigation. 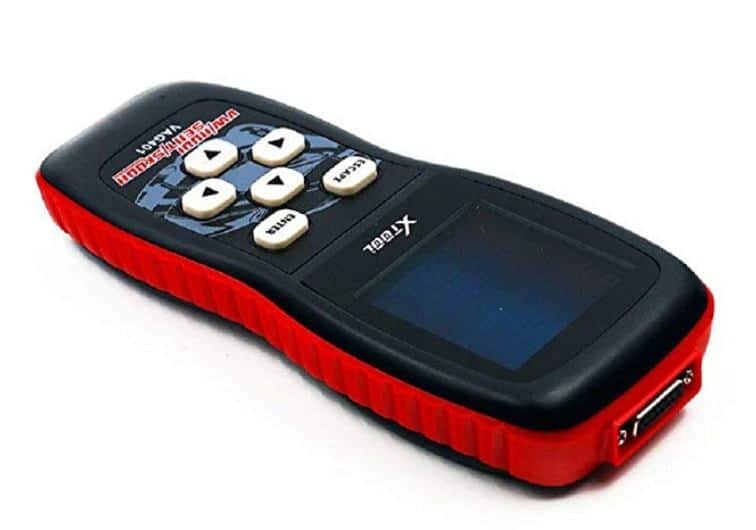 This review of the XTOOL VAG401 scanner gives you all the information you need to make an informed choice in car scanner. There is a lot of scanner information out there, but we have taken the key features and functions so that you get all of the relevant facts without the disinformation. We cover the important points and get rid of the fluff. By the time you get to our summary, you will know if this product is right for you. This device is a great tool for your VW, Audi, SEAT, or Skoda. One of the main selling points of this scanner is the ability to offer you repair options for your vehicle. If you are the type of car owner who likes to fix things themselves, then this is a great tool which will pay for itself many times over. Even using it for diagnostics only will save you money. You have the ability, with this tool, to read and clear codes. You can turn off multiple warning lights. You can also use it to code your system. This is a great tool for all VW, Audi, SEAT, Skoda, and Golf owners. It does not matter if you are a car owner or a mechanic, this affordable tool will help you to diagnose and fix one car just as easily as it will help you to diagnose and fix multiple cars. It is also a great tool for novices and experienced users. Out of the box, you have the scanner itself, a detailed instruction manual which has everything you need to get your scanner up and running, a USB connection cable, and a connection cable. The software comes pre-loaded on the device, but you may need to download additional software before you begin your diagnostics. This device will work best with vehicles built between 1996-2016. You may have compatibility with vehicles outside of that range, but you will have more chance of success with vehicles in that range. The display is basic, but it gives you all you need. The LCD screen is not a touchscreen, but it is backlit and clear, making it great for when the sun is glaring off of your device and in low-light conditions. The scanner will scan quickly and present you with the diagnostics in a clear and concise manner. You can control the ‘check engine’ light and check for other errors at the same time. Not only can you check and diagnose almost every function of your car, you can also code and adapt features too. This feature allows you more control over your vehicle, and it is a feature which is often missing from scanners. Taking a step back from that powerful feature, this device can automatically retrieve your vehicle identification number to assist you with your diagnostics. The scanner also supports every OBD2protocol so you can be assured that your diagnostics are accurate and relevant. If you do have anything which you are unsure of, or if you do not understand what the device is telling you, then you have the support of the website. The scanner’s website is packed with information which will answer any of your scanner and diagnostic questions. Any troubleshooting becomes quick and easy, especially with the number of languages which the website supports. When you are diagnosing your vehicle, you can erase and unclear any codes in your vehicle. When the error is presented, the scanner will also show you solutions to the problem, helping you to fix your car instead of taking it to a professional and having them do it. We like that this tool turns on and begins troubleshooting as soon as you plug it in. There is no messing around with this scanner; it gets down to business immediately. It is also one of the most portable scanners out there. We like to take this tool with us when we are out and about or take it to friend’s houses to scan for problems. The one-click solution also diagnoses why the check engine light is on without you having to run a full diagnostic. This is a real time saver for everyone in every environment. For more complicated diagnostics, the manual is a big help. You should pay the money for this scanner if you have a compatible vehicle. When we compared this tool to others on the market – those with specific compatibility and generic scanners – it was hard to find one which was better. For the functionality you receive, this device is very affordable. You get a one-click engine light diagnosis, and the in-depth scan is great for every type of user. Beginners and experienced mechanics will find something from this device, and the bottom line is that this scanner will save you money no matter how you are using it.